Going fast is not necisarily more important. Having fun is. My first year of racing all I cared about was climbing off the bike and sliding my knee. Only looked at lap times starting on year 2. Your body position looks great! That's how you go fast among other things, but corner speed is key. This is one of my favorites, and on one of my favorite turns at Road Atlanta. I have pretty good form, but what frustrates me is how the guy behind me looks like he was just casually following. I have SO much to learn! The guy behind you is doing almost everything wrong. Do you want to look casual or do it right (and safer)? Not a VTR but a VTR owner on an SV. Also not a trackday but a race. But its pic time right? It's a small picture but you get the idea. I still haven't touched my knee. I feel like in some turns i am so close yet so far away. I wouldn't worry too much: its not as important as its made out to be. most times you could lean the same distance without as much hanging off needed. and your own size determines a lot. There is a good book out there using parking lot type drills you can practice and work on the touch a knee if you are really driven to experience it at lower speeds first. Sort of like the picture Jay put second in this thread: i think its Lee Parks and called either advanced riding skills, or total control. Good stuff in the book and now they even have local classes set up around the country. all low speed to start. 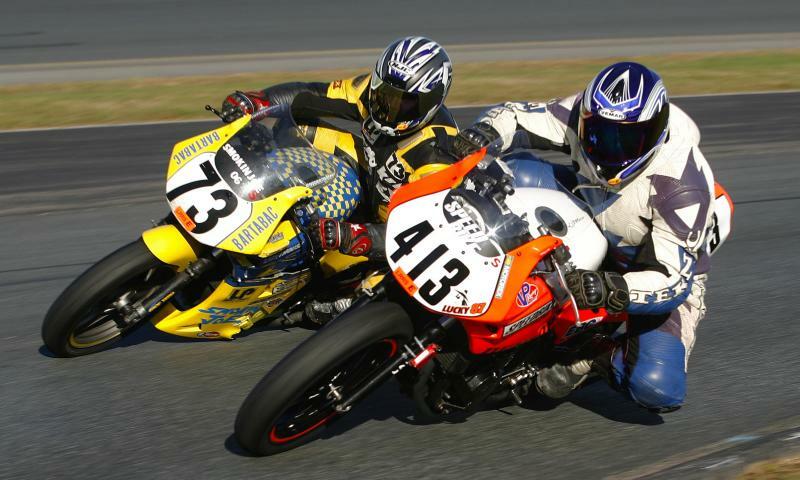 Knee down comes with proper body position and riding techniques. Don't maker it the other way around, you'll form bad habbits. Awesome, Thanks. I think I am gonna try that. Absolutely right Jay. My point was that perhaps I'm not as fast as I can be if someone that sloppy can keep up with me. Theres always gonna be one of those guys, hell look at Pegram. Just keep being smooth and consistant and the speed will come without you even knowing. You have to maintain fundamentals in every dicipline. If you are just doing track days you are certainly watching a bunch of guys doing everything wrong. (lines, braking, etc). Blind leading blind. If you don't see it done right close up you will take years to learn an afternoon of technique. 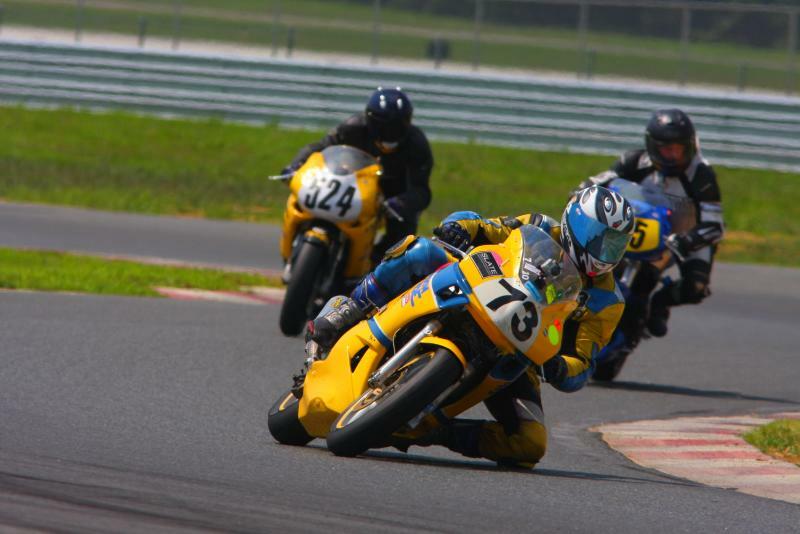 When I instruct newbies (track day guys) they are usually yelling in their helmets before we even get off the bikes how much they just figured out. Kind of like this: you could be locked in a jail cell for years with 3 rubber ***** & never learn to juggle, but if you see it done you can learn in an afternoon. True to both, and since my goal is just to do track days and have fun, I'm at least somewhat content. With everything I do, I just want to learn more skill. I don't have any problems asking coaches for help to show me lines or watch my lines for suggestions. Partly just cause I don't wanna be a back marker for someone else doing it right. Partly cause I'm competitive too. If this guy can drag knee, I should sure be able to!